Offer describes a changing market due to the world war and offers a free report for up to ten securities as spcified on the request coupon. 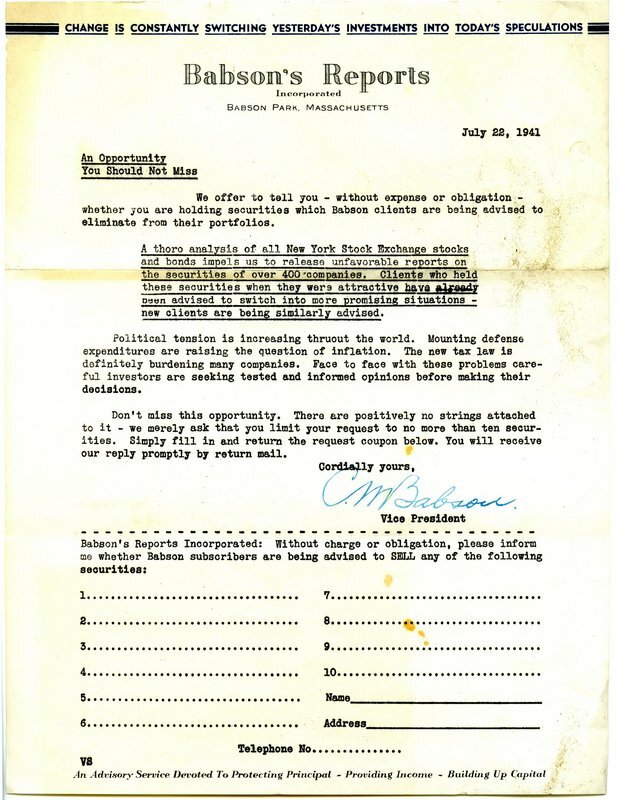 C. M. Babson, “Offer from Babson's Reports.” Martha Berry Digital Archive. Eds. Schlitz, Stephanie A., Chelsea Risley, Alan Henderson, et al. Mount Berry: Berry College, 2011. accessed April 21, 2019, https://mbda.berry.edu/items/show/497.